For 3 years, we are experimenting at Audiorama very simple midi interfaces designed on Lemur for electroacoustic projects at La Canardière Elementary School in Strasbourg, France. Aged 7 or 8 years old, these children produce their own sounds on a prepared piano, percussions and by voice. We record them directly in Ableton Live software, edit and process them a little. Then, we use 6 to 8 iPads to play the sounds on Lemur specially designed interfaces. In 10 to 15 hours of workshop, the children can play a very simple electroacoustic piece for their parents or other classes at school. This open and experimental approach to music and sound was mainly inspired by John Cage’s music philosophy and by Pierre Schaeffer’s educational concepts in musique concrète. Bruno de Chénerilles communicated and demonstrated this practice at two forums in Canada : JFREM (Journées francophones de Recherche en Education Musicale) Ottawa, 2009 and National Forum of CNMN (Canadian New Music Network) Calgary, 2014. In these 2 papers, he tells about his work with children and some of his own more sophisticated developments with multitouch interfaces in live electronics, installations and sound spatialization. Some videos document his work in both situations : children workshops and live electronics concerts. more technical papers and links to users forums are coming soon. 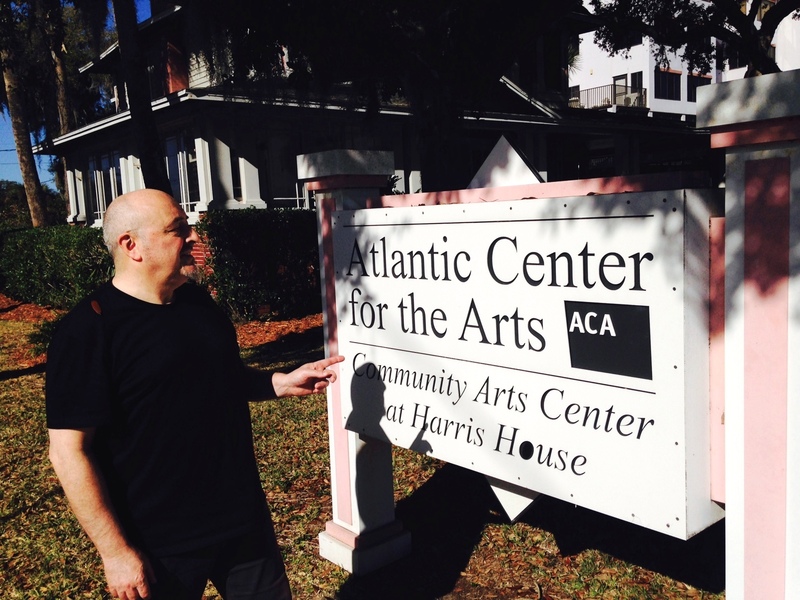 Bruno de Chénerilles is currently in a community musical residence at Atlantic Center for the Arts in New Smyrna Beach, FL USA for 4 months – february to may 2015. There he continues his experiments in children, young people and adults workshops , as well as in a personal new composition with Florida sounds.